TJ students are excited to gain a new mindset on history. Social Studies teacher Victor Godoy will lead a group of TJ students on a trip to France, Switzerland, Austria, and Germany over spring break in 2018. Godoy teaches World History and AP Human Geography at TJ. He visited all of the locations on the trip previously, but he has not voyaged to Switzerland and is looking forward to the new experience. “[Visiting these locations was] amazing, they helped shape my view and perspective of the world … I think it’s going to be great for our students to get different perspectives on how people live their lives around the world,” Godoy expressed. Godoy is excited to offer students the opportunity to visit the locations included in his world history lessons, allowing for a first-hand view. Travelers will begin their journey on March 23rd, 2018, spending the first three days in Paris, France. Sightseeing will be a major part of the trip as students will walk around the city visiting locations including the Notre Dame Cathedral, Eiffel Tower, Champ de Mars, and the Latin Quarter. Godoy and students will board the Train à Grande Vitesse (TGV), Europe’s fastest train, on March 26th in order to arrive in Bern, Switzerland, for the next portion of their trip. Here, they will continue sightseeing before traveling to Lucerne, Switzerland. March 26th-27th will be spent in Lucerne where they will visit Lion Monument, River Reuss, and other locations before traveling to Innsbruck, Austria, on the 28th. The Golden Roof, Triumphbogen, and Olympic will be destinations during a city walk before the group heads for their final destination on March 29th to Munich, Germany. The group will go on another sightseeing tour, viewing the Neuschwanstein Castle, BMW Headquarters, Dachau Concentration Camp, and other locations. “I am really excited to experience many of the locations I learned about in my history classes and I can’t wait for the trip,” said sophomore Baxter Stein. Students will then fly back to Denver, ending their trip on March 31st. Students can still sign up for this once in a lifetime experience during Spring Break 2018. 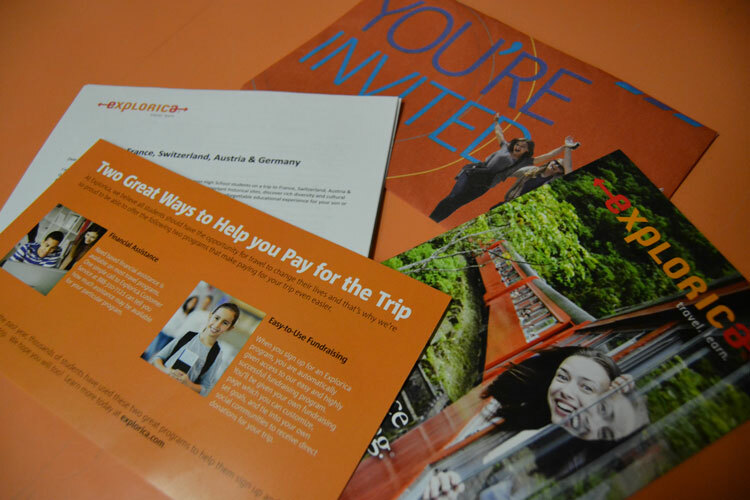 The trip costs roughly $2,915 to attend and students are eager for their adventure. There are currently fifteen TJ students registered for the trip, but there is still room for more. For more information on how to join, click here or email Godoy at Victor_Godoy@dpsk12.org.